Caroline Glick (Hebrew: קרולין גליק; born 1969) is an American-born Israeli politician, columnist, journalist, and author. She writes for Breitbart News, The Jerusalem Post, and Maariv. She is adjunct senior fellow for Middle Eastern Affairs at the Washington, D. C.-based Center for Security Policy, and directs the Israeli Security Project at the David Horowitz Freedom Center. In 2019, she joined the Israeli political party New Right as a candidate. Glick was born in Chicago, Illinois, U.S., to a Jewish family. She grew up in the Hyde Park neighborhood. She graduated from Columbia College, Columbia University, in 1991 with a Bachelor of Arts in political science. As a teenager traveling with her parents, she visited Israel for the first time at the onset of the First Lebanon War. Glick immigrated to Israel in 1991, and joined the Israel Defense Forces (IDF). She worked in the IDF's Judge Advocate General division during the First Intifada in 1992, and, while there, edited and co-authored an IDF-published book, Israel, the Intifada, and the Rule of Law. Following the Oslo Accords, she worked as coordinator of negotiations with the Palestinian Authority. She retired from the military with the rank of captain at the end of 1996. She then worked for about a year as the assistant to the director general of the Israel Antiquities Authority. She served as assistant foreign policy advisor to Prime Minister Benjamin Netanyahu. Glick returned to the US to earn a Master of Arts in Public Policy from Harvard University's Kennedy School of Government in 2000. Upon her return to Israel, she became the chief diplomatic correspondent for the Makor Rishon newspaper, for which she wrote a weekly column in Hebrew. She was also the deputy managing editor of The Jerusalem Post, for which she writes a weekly column in English. Her writings have appeared in The Wall Street Journal, the National Review, The Boston Globe, the Chicago Sun-Times, The Washington Times, Maariv, Moment, and other newspapers with worldwide circulations. Glick has also contributed to many online journals. In addition to appearing on Israel's major television networks, she has appeared on US television programs seen on MSNBC and the Fox News Channel. She makes frequent radio appearances both in the US and Israel. In 2003, during Operation Iraqi Freedom, Glick was embedded with the US Army's 3rd Infantry Division and filed front-line reports for The Jerusalem Post and the Chicago Sun-Times. Via satellite phone, she also reported daily from the front lines for the Israeli Channel 1 news. Glick was on the scene when US forces took the Baghdad International Airport. She was awarded a distinguished civilian service award from the U.S. Secretary of the Army for her battlefield reporting. She is the adjunct senior fellow for Middle Eastern Affairs at the Center for Security Policy, and is one of several co-authors of the Center's latest book, War Footing. She has been a senior researcher at the IDF's Operational Theory Research Institute (the Israel Defense establishment's most prestigious think tank). She has also worked as an adjunct lecturer in tactical warfare at the IDF's Command and Staff College. In its Israeli Independence Day supplement in 2003, Israeli newspaper Maariv named her the most prominent woman in Israel. She was the 2005 recipient of the Zionist Organization of America's Ben Hecht award for Outstanding Journalism (previous recipients have included A. M. Rosenthal, Sidney Zion, and Daniel Pipes). She has also been awarded the Abramowitz Prize for Media Criticism by Israel Media Watch. A representative for the organization praised Glick's high degree of professionalism and her critical reporting after Glick wrote a series of articles accusing the Israeli media of blatantly rallying support for carrying out the disengagement plan. On May 31, 2009 she received the Guardian of Zion Award from the Ingeborg Rennert Center for Jerusalem Studies at Bar Ilan University. She is an editor of the political satire website Latma TV. In July 2012, the David Horowitz Freedom Center announced the hiring of Glick as the Director of its Israel Security Project. In January 2019, she joined the New Right party as a member. She unsuccessfully ran for election to the Knesset in the 2019 elections in the sixth position on the New Right party's electoral list. Glick is featured as a speaker in the documentaries Relentless: The Struggle for Peace in the Middle East and Obsession: Radical Islam's War Against the West. Yahav, David; Amit-Kohntitle, Uzi. Edited and wrote several chapters. Israel, the Intifada and the Rule of Law. Israel Ministry of Defense Publications, 1993. ISBN 978-965-05-0693-3. The Israeli Solution: A One-State Plan for Peace in the Middle East was published by Glick in February 2014. Glick wrote an introductory article in The Jerusalem Post. One reviewer in the United Arab Emirates' The National was intrigued, but found the book problematic and flawed, found the author's history to be "mendacious", and saw the likely result as collapse into civil war. Another review at the Asia Times earned more sympathy: the reviewer approves Glick's demographic study (although with caveat due to Sergio DellaPergola) and concludes that "If you read only one book about the Middle East this year, it should be Caroline Glick's". In an August 13, 2015 Jerusalem Post opinion piece on the subject of the Iran nuclear agreement, Glick presents American Jewry at a crossroads, being threatened by President Obama to risk both alienation from the Democratic Party and a weakening of the traditional Israeli-USA relationship if the influential American Jewish leaders fail to support the nuclear deal. In June 2010, Glick co-produced and appeared in We Con the World, a satirical video by Latma TV about the Gaza flotilla attempt to breach the Israeli blockade of Gaza. The video clip quickly garnered over 3,000,000 hits from YouTube viewers before being abruptly removed by the online hosting site due to alleged copyright concerns, though some have speculated that its removal was prompted by considerations other than legitimate copyright concerns. The video drew both criticism and praise. Writing for the Guardian, Meron Rapoport said the video was "anti-Muslim", while Eileen Read, in The Huffington Post, described the mocking of the flotilla crew as "tasteless and blatantly racist". Glick has dismissed claims that the video is offensive, saying, "The point of satire is to make people uncomfortable. We're not trying to be fair and balanced, we're trying to make a point." ^ a b "Advisory board bio". EMET. Archived from the original on 18 July 2011. Retrieved February 8, 2010. ^ a b c Greer Fay, Cashman (December 13, 2005). "Post's Caroline Glick wins two awards". The Jerusalem Post. Retrieved June 26, 2010. ^ a b c "Live from NY's 92nd Street Y continues". Vail Daily. October 7, 2007. Retrieved June 26, 2010. ^ a b Toby Klein, Greenwald (June 24, 2009). "Caroline Glick Receives 'Guardian Of Zion' Award". Five Towns Jewish Times. Archived from the original on July 21, 2011. Retrieved June 26, 2010. ^ Berman, Debbie (January 20, 2006). "Israeli Prize for Media Criticism Awarded to Glick and Magal". Arutz Sheva. Retrieved June 26, 2010. ^ Leibowitz, Ruthie Blum (March 18, 2009). "One on One: Right hook to the funny bone of the body politic". The Jerusalem Post. Retrieved June 26, 2010. 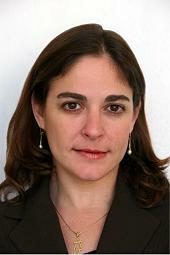 ^ "Caroline Glick joins Hayemin Hehadash 'dream team' - Israel News - Jerusalem Post". www.jpost.com. Retrieved 24 January 2019. ^ Staff, Jewish Press. "Caroline Glick: Myth of the 'Two-State Solution'". jewishpress.com. Retrieved 24 January 2019. ^ "Youtube Pulls "We Con the World"". Israel National News. Retrieved 24 January 2019. ^ "Why did YouTube ban 'We Con the World'?". theweek.com. 14 June 2010. Retrieved 24 January 2019. ^ a b Read, Eileen (5 June 2010). "The Jerusalem Post Should Fire Caroline Glick for Making a Racist Video". huffingtonpost.com. Retrieved 24 January 2019. ^ Shabi, Rachel (6 June 2010). "Israel forced to apologise for YouTube spoof of Gaza flotilla". Retrieved 24 January 2019 – via www.theguardian.com. This page was last edited on 14 April 2019, at 01:43 (UTC).